This honeycomb diagram is perfect for visualizing music charts, movie charts, or any similar type of chart which does not need to demonstrate dependencies, but rather the positioning of items in either hierarchical or chronological order. It is also suitable for the visualization of a process which follows a certain number of steps. 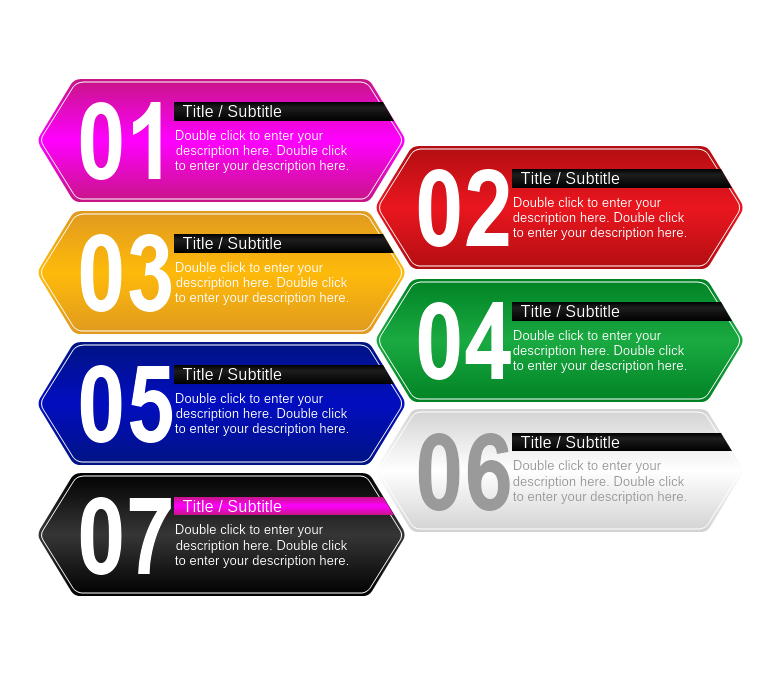 To edit the text of the diagram simply double click on it and start typing.